EXCLUSIVE! Because true love grows and grows. 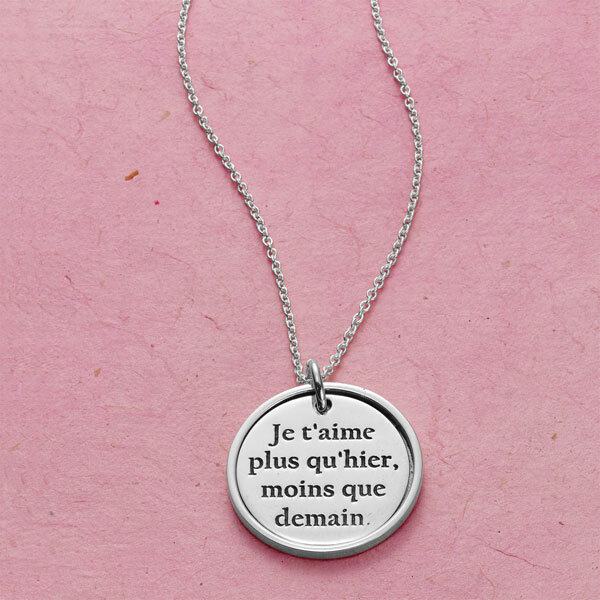 Sterling silver disc is inscribed in French on one side with "Je t'aime plus qu'hier, moins que demain" ("I love you more than yesterday, less than tomorrow"). 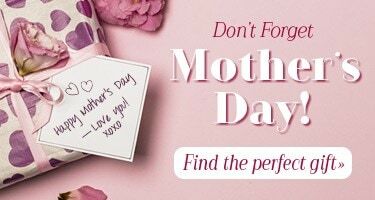 The other is a simple "XO" hug and kiss. ¾" pendant arrives on a sterling chain that adjusts 16-20"